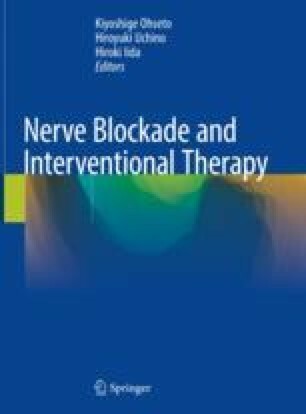 Brachial plexus block is useful in the evaluation and management of shoulder and upper-extremity pain. There are many approaches to making this block. An interscalene or axillary approach is safer and easier than a supraclavicular or infraclavicular approach under the Landmark method. Using an X-ray fluoroscopy-guided method, an image is created in which the first and second ribs cross. The interscalene approach or supraclavicular approach from the backside is recommended under an ultrasound-guided method.